Never one to just accept a quick answer, I asked if that was more than what someone buying a used home would have. She told me that was just the application paperwork and it was not completed yet. She went on to tell me that by the time the entire application would be ready for submission for a loan with the bank, the stack could be twice as thick. OMG! And that was just the application. The actual loan paperwork for new construction could add another 6-8” to the total. Having learned that I write a blog about the modular housing industry she went on to say that it did not add anything to the paperwork except the appraiser’s report might have an extra page or two about it being a manufactured home, a point I did not wish to explore with her at that moment. 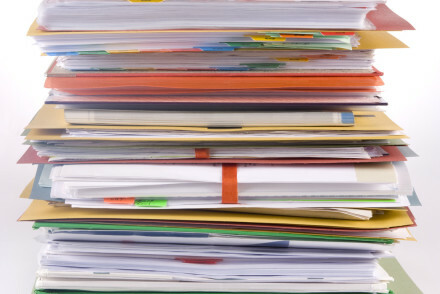 Remembering back to the good old days in the ‘90s when I was a Realtor, the bank’s paperwork could be contained completely within a single manila folder wrapped with a rubber band. “What changed” I asked. Her answer was short and quick. 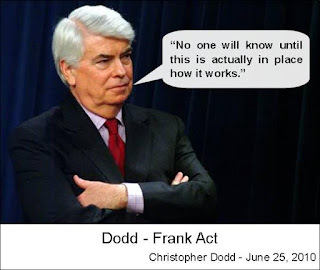 Dodd-Frank. “The biggest impediment to home buying that has ever happened in the history of home buying” she answered. Not only has it slowed the process, it is also so complicated and updates on a weekly basis come from the Fed. She said that she and the other loan officers meet every week just to go over changes. 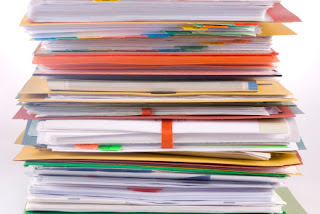 Not only is there a lot of paperwork, a lot of it is time sensitive meaning it has to updated as the loan process goes on. If something changes during the loan process it could mean more time wasted.